1. 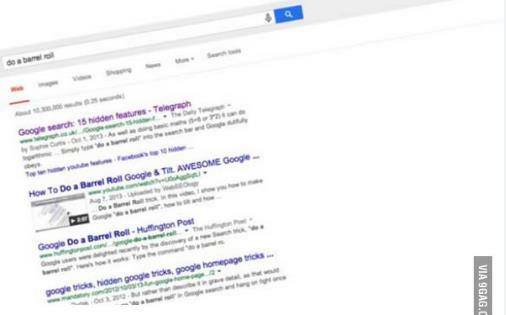 You can use Google as a timer. Just set the time in the search box as shown here. 2. 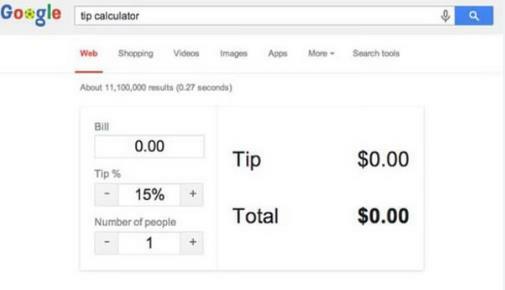 Google will also help you calculate your tips. 3. 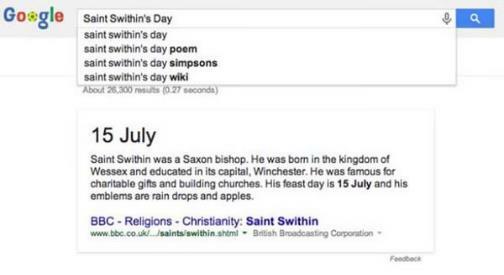 You can find out what date any holiday falls on. 4. 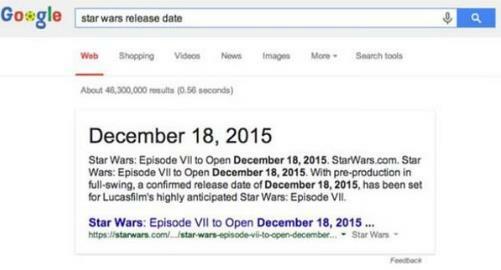 Google will also find movie release dates for you. 5. 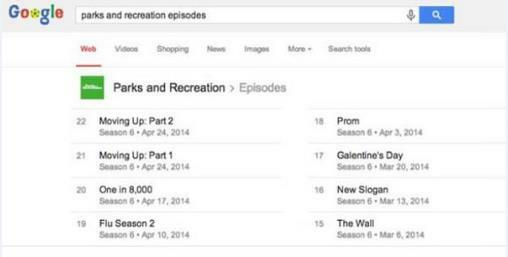 You can find full schedules for your favourite television shows. 6. 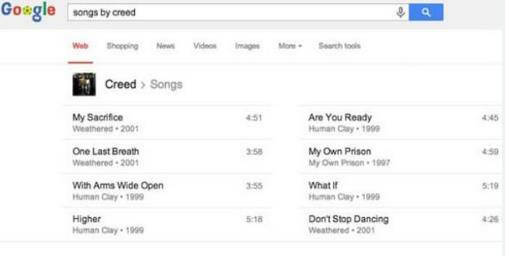 Google will also find the songs of your favourite bands. 7. 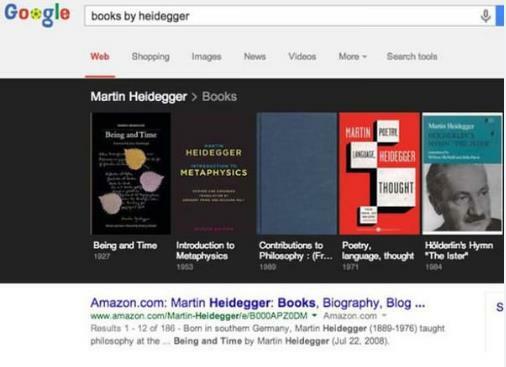 You can use the search engine to find what books your favourite authors wrote. 8. 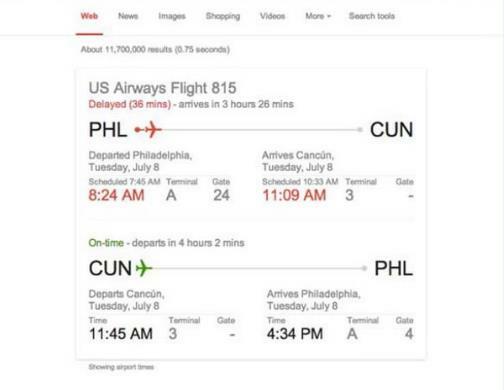 It’ll look up flight information for you. 9. Do you know what time the sun rises? It’ll tell you. 10. It’ll also give you information on your company. 11. If you want, you can make it perform a barrel roll. 12. 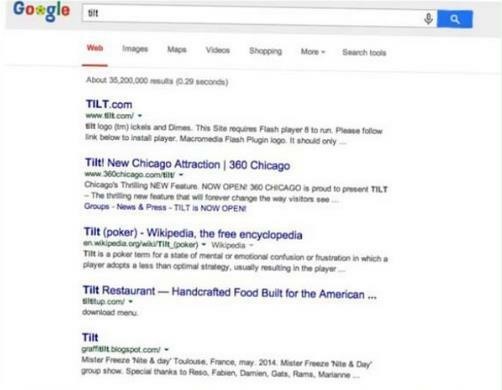 Or just tilt a little. 13. 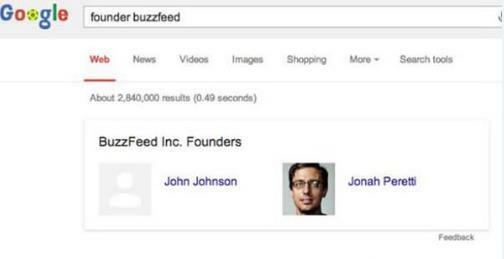 If you search for “recursion”, you’ll get stuck in a search look. 14. 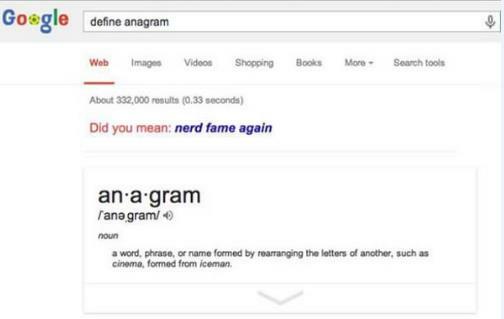 Also, if you include anagram in your searches, Google will make anagrams for you. 15. Even if you’re just trying to define anagram. 16. 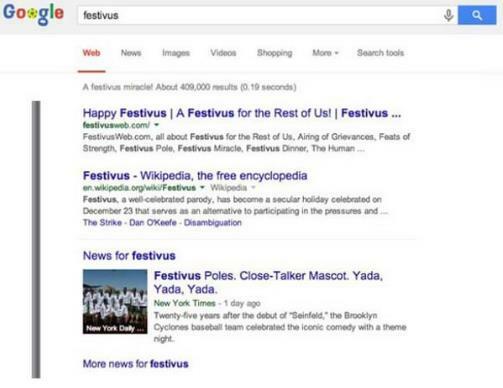 If you search for “Festivus,” you’ll see the traditional aluminium pole. 17. 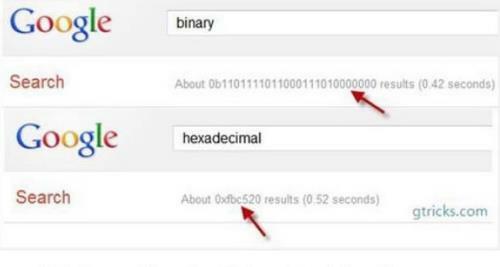 Searching for “binary” or “hexadecimal” gives you nerdy results. 18. 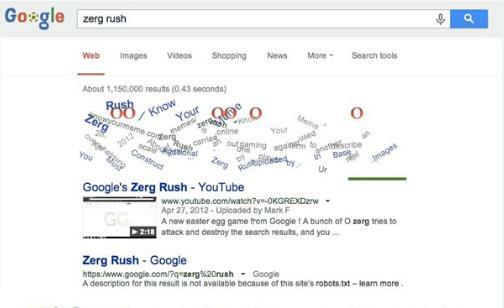 Searching for “Zerg Rush” will start a game you can play in your browser. 19. 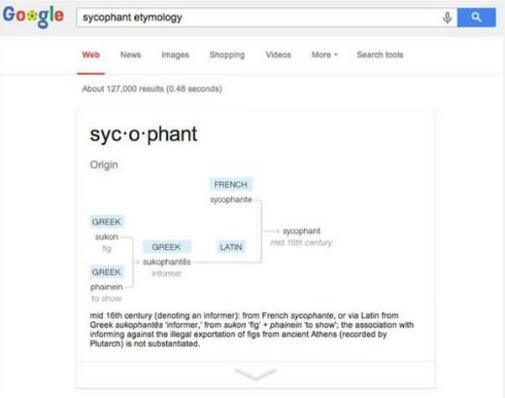 Google can also show you the meaning and history behind words (etymology). 20. 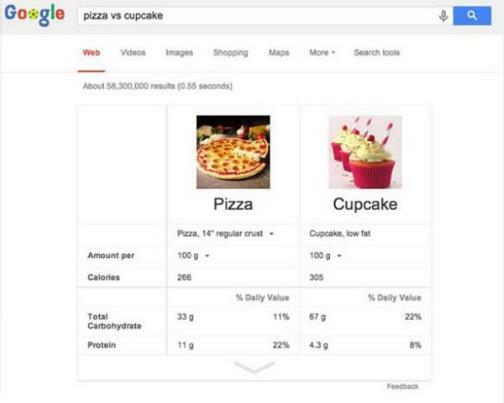 Trying to decide between your favourite foods? 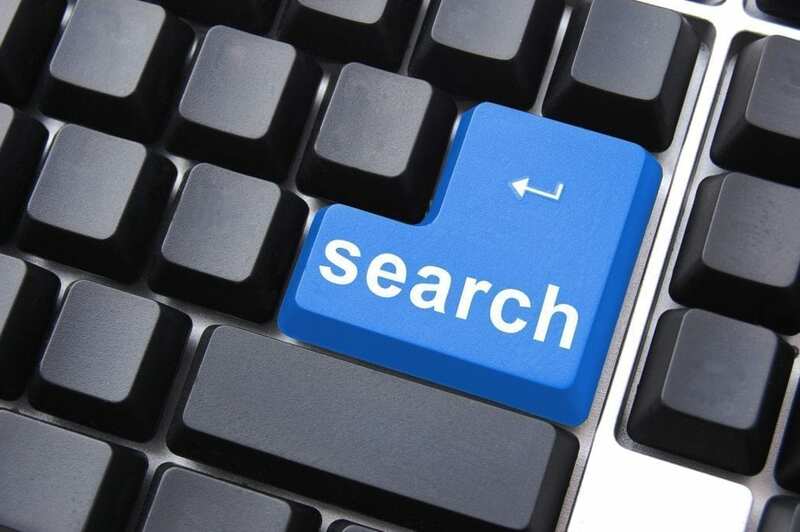 Google will help. 21. 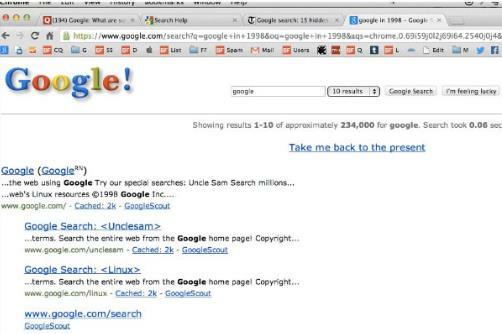 If you type “Google 1998” in your address bar, you’ll be taken to the retroversion of Google from the good old days.